SAN DIEGO, CA / ACCESSWIRE / September 12, 2017 / BSR Marketing today announced its inclusion as an official service partner of Amazon's Solution Provider Network. As a designated solution provider,Amazon sellers from around the world can now use BSR Marketing's services to help them grow sales and propel the success of their Amazon business. BSR Marketing is unique from other digital marketing agencies in that it specializes only in launching a product on Amazon and works to deliver clients an incredible ROI by delivering lower sponsored product costs on Amazon's Seller Central and Amazon Marketing Services (AMS) platforms. The agency, which has been development since 2015 and launched its advertising services in June 2016, chose to focus on Amazon advertising because with all the noise surrounding various social media platforms and advertising tools, it's easy for brands to become distracted. They believe that Amazon is in the best platform to immediately see revenue gains, while tracking and optimizing the investment in advertising. Lucas Kwiatkowski, Head of Advertising at BSR Marketing said, "Amazon is constantly changing, and it's difficult for sellers to stay up to date on all the latest developments. We understand that our clients need to focus on other aspects of their business, and by working with us, they have a trusted team on their side who are dedicated Amazon advertising experts whose goal is to get them the most 'bang for their buck.'" Amazon brands of all sizes, from individual sellers with a single product to large corporations with over 1,000 active listings, have all seen revenue gains from working with BRS marketing, helping them to thrive on the world's largest e-commerce marketplace. 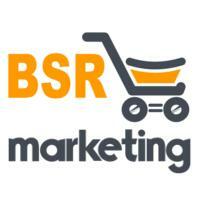 Based in Southern California, BSR Marketing offers its clients complete marketing solutions. With years of experience on Amazon, the agency has watched the marketplace rapidly evolve, while perfecting their process to optimize products and fine tune sponsored ads. The PPC team specializes in international expansion, optimized content and backend optimization, while taking a hands-on approach and treating each and every account as though it were their own. BSR Marketing offers affordable packages for clients to choose from, based on their own specific Amazon selling and advertising needs.